ALEXANDRIA, Va. – According to a new Diversity & Inclusion survey report released today by the Society for Human Resource Management (SHRM), more than one-half (57 percent) of HR professionals say their recruiting strategies are designed to help increase diversity in their organization. Additionally, almost two out of five (38 percent) say their retention strategies are designed to help retain a diverse workforce. The top ways company CEOs demonstrated support for company diversity initiatives included incorporating diversity into the corporate vision statement (27 percent), meeting regularly with employee resource groups (15 percent), and reviewing and signing off on diversity metrics and progress (14 percent). While only 15 percent of organizations have dedicated staff members for diversity and inclusion, 17 percent employ a volunteer approach and have an advisory group/committee made up of existing staff, and 31 percent of organizations provided some form of diversity and inclusion training. Larger organizations were three times more likely than small organizations to use these types of groups. Related to specific policies, more than three-fifths (64 percent) of organizations reported having a formal (written) or informal policy that addresses sexual orientation discrimination in the workplace. Only one-fifth (24 percent) of organizations reported having a formal (written) or informal policy that addresses gender identity and/or gender expression. The survey included responses from 292 randomly selected HR professionals at organizations of all sizes throughout the United States. The full survey is available online at http://www.shrm.org/Research/SurveyFindings/Articles/Pages/Diversity-Inclusion.aspx. For more surveys/poll findings, visit shrm.org/surveys. Follow SHRM Research on Twitter @SHRM_Research. Founded in 1948, the Society for Human Resource Management (SHRM) is the world’s largest HR membership organization devoted to human resource management. Representing more than 275,000 members in over 160 countries, the Society is the leading provider of resources to serve the needs of HR professionals and advance the professional practice of human resource management. SHRM has more than 575 affiliated chapters within the United States and subsidiary offices in China, India and United Arab Emirates. 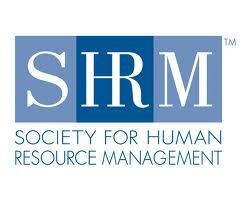 Visit us at shrm.org and follow us on Twitter @SHRMPress. Recruitment, Best Practices, Compliance, Oh MY! Is Everyone Ready?